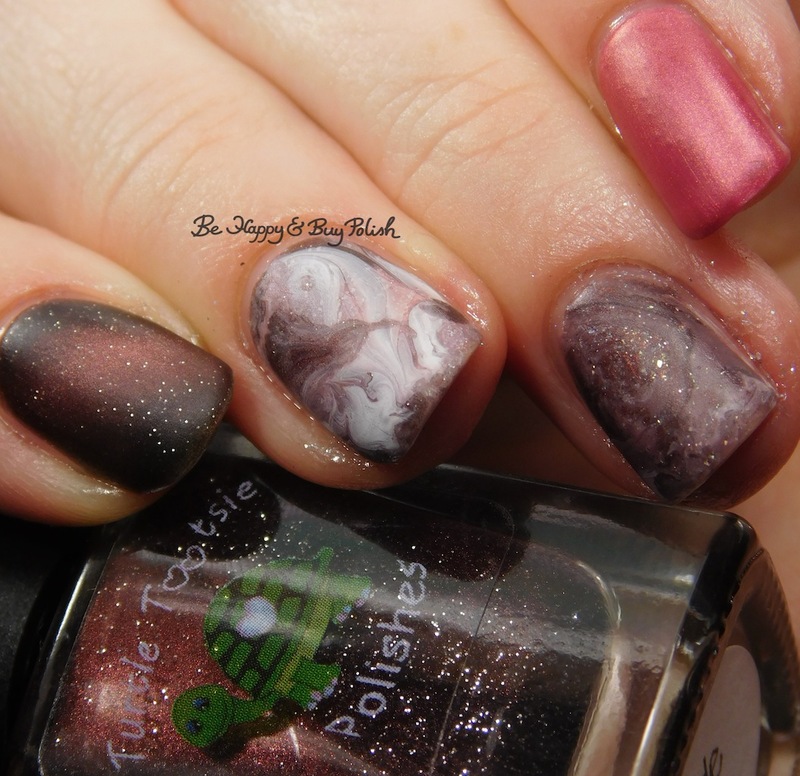 Turtle Tootsie Polishes Bolide [April 2018 Polish Pickup Pack], 3 coats. Good formula, if a little sheer at the tips. Current mani here! I’ve been wanting to use Bolide from Turtle Tootsie Polishes since I bought it but everything I tried just didn’t click. I finally forced myself to sit down with it and come up with other complementary colors and a technique. And yes, I know you’ve seen a similar technique earlier this week. This technique was one I saw from yagala on instagram. I love how the fluid nail art really looks like swirled candy or chocolate or even coffee. I started off with a shiny top coat and though I liked it, I really wanted to try it with a matte top coat. I almost didn’t use the China Glaze on my pinkies but I needed another color that would really give this mani more oomph that wasn’t a muted polish. Pink Pearls isn’t too visible within the marbling but the shimmer does come through rather nicely! 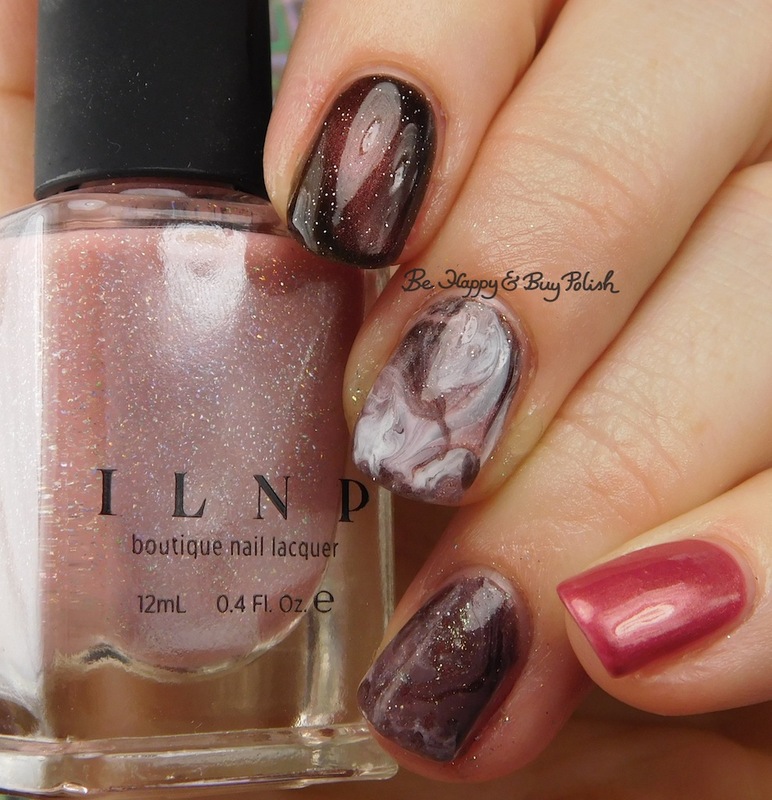 It definitely is a layering polish as it is quite sheer on its own. 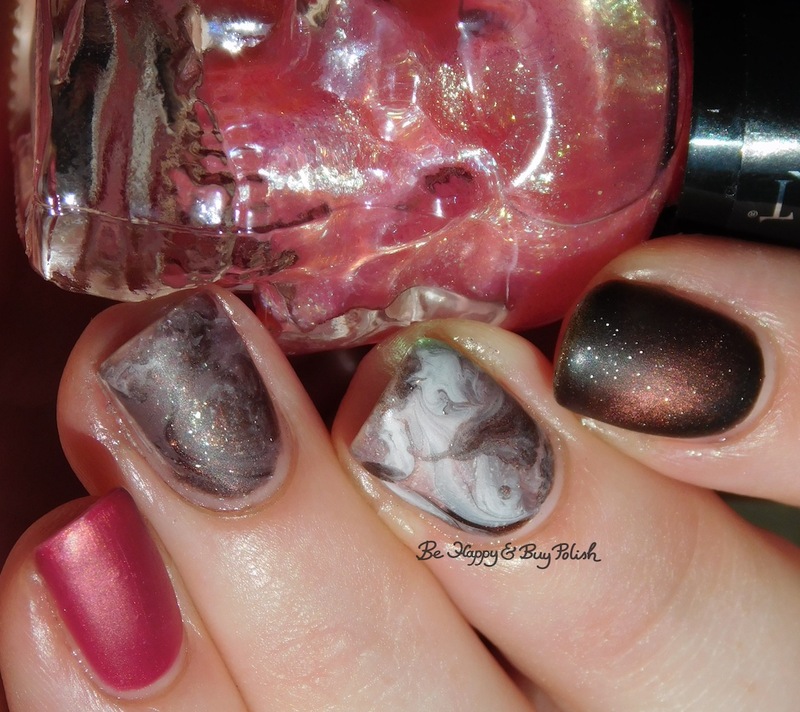 You have been creating such fun magnetic looks! Thank you! I’m slightly obsessed with magnetics!